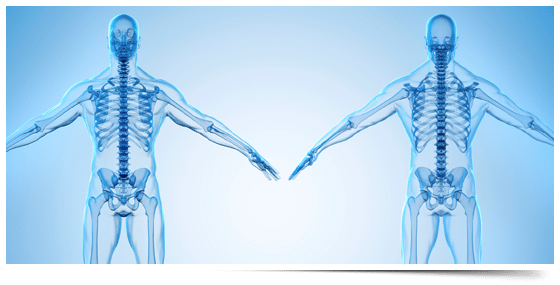 As one of the most complex joints in the human body, the shoulder provides an extraordinary range of motion, allowing you to move your arms in virtually every direction. Yet, although your shoulders rarely bear weight, the frequent use of this versatile joint makes it susceptible to wear and tear – much like your knees and hips. Wear and tear of the shoulder most often occurs in the thinning or loss of cartilage that lines the joint – resulting in arthritis – or tears of the rotator cuff tendon. In fact, a majority of people develop arthritis after the age of 60 or sustain a rotator cuff tear after the age of 40. These are common, age-related injuries. The rotator cuff is made up of muscles and tendons that enable you to lift and rotate your shoulder. When you repeatedly perform the same shoulder motions – either through repetitive physical labor or sports activity (such as a baseball pitcher or a football quarterback) – you can tear the tissues connecting the muscles to the bones around the shoulder joint. Rotator cuff tears are not only painful but also are associated with weakness that makes it difficult for you to reach overhead or lift anything away from your body. Rotator cuff injuries can be treated with rest, medication, physical therapy, corticosteroid injections, and/or surgery – again, depending on the severity of your condition. Younger people tend to heal more quickly from this injury. Shoulder injuries due to wear and tear often occur as the result of incorrectly lifting objects or using awkward postures to perform your work tasks. For example, if you frequently lift heavy loads without having the proper support or the correct posture, you could damage your shoulder and rotator cuff over time without realizing it. And, if you “shrug off” an injury that seems mild and you don’t take action to treat your condition or to correct your posture, it can lead to a more serious injury. You may suffer a muscle or ligament strain or develop frozen shoulder, in which scar tissue builds up in the shoulder joint. All of these can cause wear-and-tear injury. In the case of arthritis, it can lead to an increase in pain and loss of motion. While there is no cure for arthritis, it can be treated and managed, depending on the type of arthritis you have. If you are having chronic pain or you notice a loss of function in your shoulder, it could be due to a wear-and-tear injury. The source of your pain can be diagnosed and treated appropriately by your orthopedic doctor. For more information about wear-and-tear shoulder injuries or other orthopedic issues, call us at Florida Sports Medicine & Orthopaedics at (850) 763-0346 or request an appointment online. We’ll help diagnose your condition and provide effective treatment to assure a speedy and safe recovery.